This vehicle is being sold “as is”. Manufacturer’s warranties may still apply. Extended warranty may be available, e-mail or phone Frank at (216) 362-0100 for details. 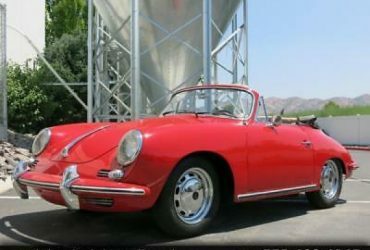 MB Vintage Cars will contact the successful high bidder by e-mail after the auction closes. Successful high bidder MUST communicate with Frank at MB Vintage Cars by e-mail or phone (216) 362-0100 within 24 hours of the auction ending to make arrangements to complete their transaction. If we cannot confirm your intention to buy or the sale is not completed within 5 days, we reserve the right to relist this vehicle or sell to any other qualified buyer. 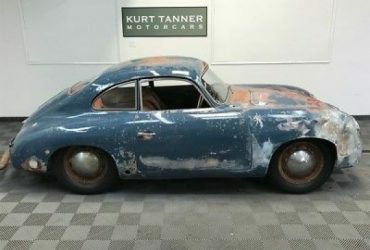 1952 Porsche 356 ORIGINAL RARE FACTORY BLACK ON TAN 1952 PORSCHE 356 PRE-A 1500 REUTTER COUPE. BENT WINDOW. COA. SCARCE OFFERING.